The TALL Group of Companies, the UK leader in the provision of secure paper and electronic payment solutions, has today (Tuesday 31st July) announced the UK launch of an innovative chain of custody and transaction verification platform that delivers absolute confidence and certainty to the user, provides real-time authentication and eliminates the risk of fraud. The DocuChain ‘Chain of Custody’ platform supports the validity of a wide-range of high-value transactions and mission critical processes, which will help organisations to identify fraudulent transactions such as: fake pharmaceuticals and unapproved treatment pathways, bogus professional credentials, contestable titles to assets, money laundering, and the veracity of supply chains including the non-genuine parts being installed in aircraft or North Sea oil rigs. The Chain of Custody platform (patent pending) is called 4Trust and utilises a proprietary combination of technologies under license from DocuChain Limited. 4Trust incorporates a range of technologies from DocuChain and its constituent members: Uqudo (identity and access management), NXP (NFC integrated circuits), Qadre (Plug blockchain infrastructure) and Trotec (laser engraving specialist). 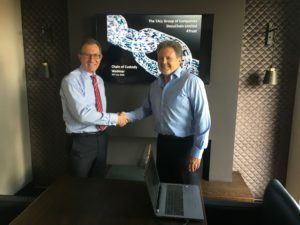 The TALL Group of Companies is leading the launch of the 4Trust platform as the exclusive licensee in the UK and Ireland – and the founding member of DocuChain’s 4Trust Alliance, a global partnership of 4Trust licensees. 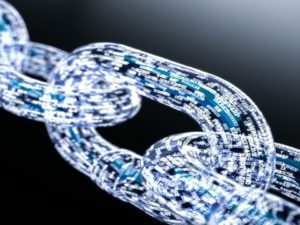 Those organisations and individuals using the 4Trust Chain of Custody platform will obtain a specially-crafted smart polymer document produced by the TALL Group, which provides the physical, tangible record of the transaction, whose provenance can be authenticated in an immutable, external blockchain record. The document, described as a SmartPolymer Artifact, incorporates sophisticated fraud prevention features such as laser engraved images, encrypted QR Codes and embedded intelligence in the form of NFC (near-field communications) integrated circuits, which link the certificate to the digital record of the transaction or entitlements in question. The provenance of the creation of both the Artifact and its related metadata (Assets and Activities including entitlements and privileges) are then stored securely in the 4Trust Chain of Custody. This correlation between the physical and digital records creates a singular “Chain of Custody” that can be validated in real-time using mobile and desktop applications that are downloadable with every Artifact produced. Indeed this ‘blockchain’ principle is key to the DocuChain Chain of Custody. Blockchain technology is like the internet in that it has a built-in robustness. By storing blocks of information that are identical across its network, the blockchain cannot be controlled by any single entity as it has multiple secure entry points and equally has no single point of failure. It is secure, resilient and delivers an immutable record of transactions and assets.